Don't see what you are looking for? We take your suggestions seriously and respect the time you have taken to let us know. 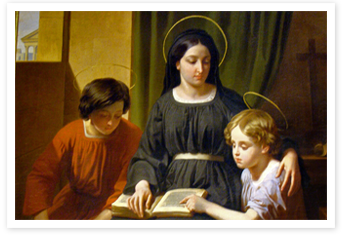 We are a Catholic Homeschooling family that started collecting books for our own children. We wanted good wholesome books for our family as opposed to most of the morally and spiritually unacceptable books that are produced today and which we as children read much to our regret. These books are hard to find, expensive, and take up a lot of room. This website was created to give other Catholic parents the opportunity of having all these books without the effort, cost, or shelf space.